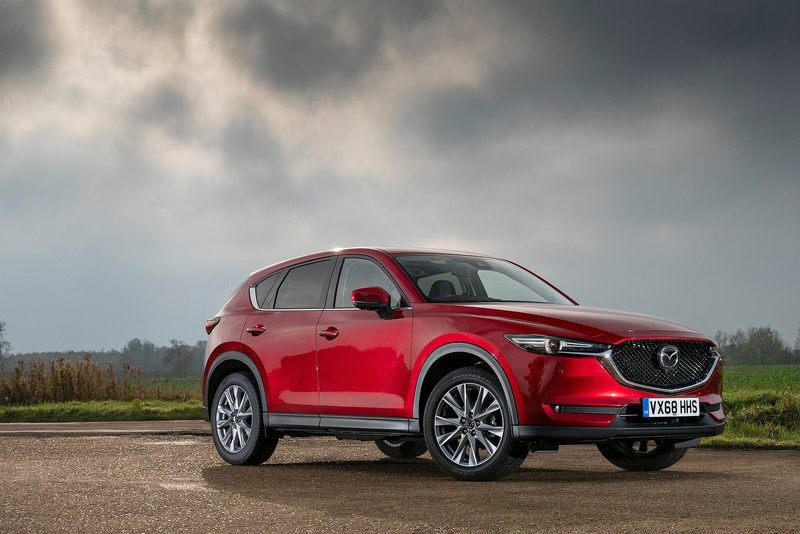 Mazda's CX-5 mid-sized SUV has been thoroughly rejuvenated in second generation guise - and more recently improved still further. 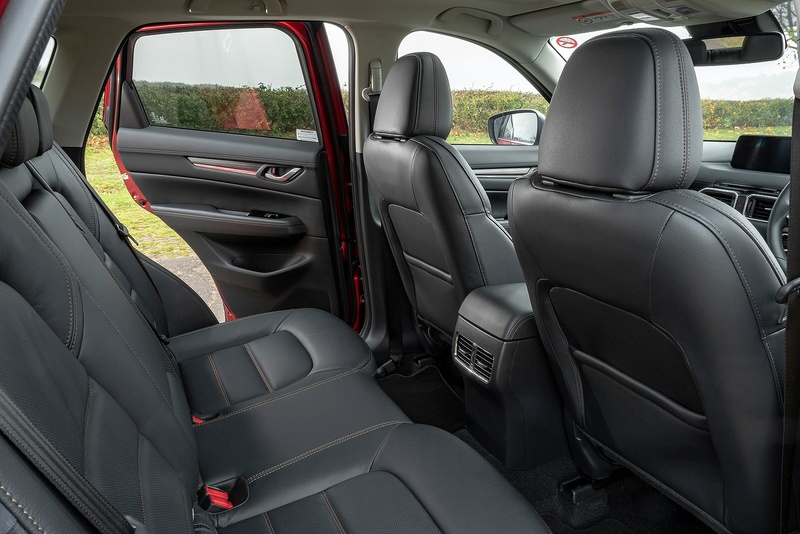 As before, it's a good compromise between a Nissan Qashai-style family Crossover and a Toyota RAV4-style SUV, offering good driving dynamics, efficient running costs and decent practicality. This may not be the first car you consider in this sector, but try one and you might just think it to be the best. 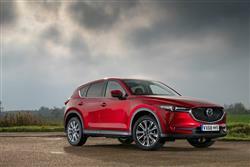 The CX-5 has proved to be a crucial car for Mazda. Launched in 2012 relatively early on in the current craze for mid-sized SUV and Crossover models, it's since sold prodigiously. To the point where this model line now accounts for a quarter of all the Japanese brand's global sales. 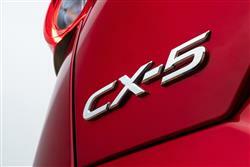 Over 1.5 million CX-5s have been sold worldwide, with 32,000 examples having found UK owners. Will those people like this sharper-looking second generation version? It'll be interesting to see. The engine-ware hasn't changed but almost everything else about this car has, with higher quality, greater infotainment connectivity and slightly more involving handling. It'll need to be good in the face of crowded competition for sales of cars of this kind. Let's judge this CX-5 on its merits. 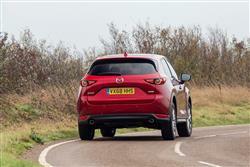 A lot has changed about this second generation CX-5 - but not under the bonnet. So the same range of SKYACTIV engines are carried over into this MK2 model. That means the 2.0-litre 165PS 'SKYACTIV-G' petrol unit that hardly any UK buyers choose and which can only be ordered with front-wheel drive (though it does now feature an auto option if you want it). And the volume 2.2-litre 'SKYACTIV-D' diesel unit which is offered with either 150 or 184PS and can be specified with the options of AWD and auto transmission. 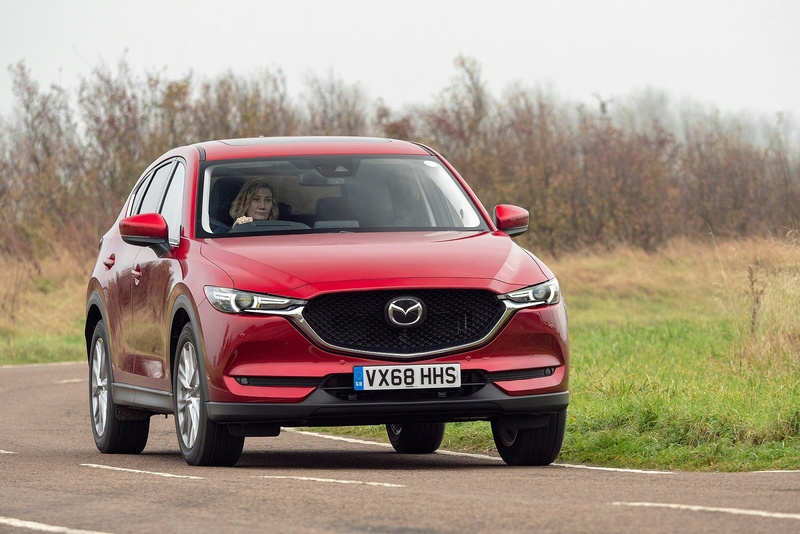 Like many new-era Mazda models, this one's a product of the company's 'Jinba-Ittai' 'car-and-driver-as-one' philosophy which aims to deliver more focused levels of levels of driver engagement and comfort. This time round, particular attention has been paid to reducing noise and vibration within the cabin. Plus a 15% improvement in torsional body rigidity, along with refinements to the steering, suspension and brakes, all contribute to an improvement in the handling precision that marked out the previous model. Further helping in this regard is a freshly introduced 'GVC' 'G-Vectoring Control' torque vectoring system that transfers traction to the wheel most needing it when you're going at speed through tight corners. And off road prowess? Well, as with the systems employed by most of its rivals, this car has a set-up in which the torque is automatically split according to the terrain you're on, so it can direct 100% of drive to the front wheels in normal conditions, with up to 50% then directed to the rear wheels if slip is detected. There's nothing radically different about this second generation CX-5. Instead, what we've got is a thorough evolution of the original model, the car that introduced Mazda's 'KODO' 'Soul of Motion' design philosophy. This MK2 model takes its cues from the stunning 'RX Vision' concept car the brand displayed at the 2015 Tokyo Motor Show and swaps the previous soft and curvy look for an altogether sharper and more mature design. This is exactly what many prospective buyers will want. The smarter exterior looks see this car get a sleeker profile and a lower roofline to underscore its solid stance and elegant proportions. Under the skin, a fully-revised body structure that's been created under the concept of what Mazda calls 'Refined Toughness'. All of this is complemented by a completely re-designed interior that aims to merge meticulous cockpit ergonomics with a sophisticated, high-quality and spacious cabin environment. The interior's dominated by a 7.0-inch colour centre-dash touchscreen featuring full navigation as standard. In terms of overall quality, the finish isn't quite up there with a rival Volkswagen Tiguan but it's certainly an improvement over what you'd get in competitors like Ford's Kuga and Kia's Sportage. 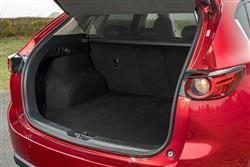 In the back, there's plenty of legroom, despite the provision of a decently-sized boot. 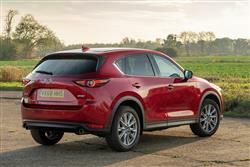 List pricing sees CX-5 ownership pitched much as before, with prices ranging in the £25,000 to £37,000 bracket. There are three trim levels - 'SE-L Nav+', 'Sport Nav+' and 'GT Sport Nav+' and three engines, a 2.0 165PS petrol unit and 150 and 184PS versions of the familiar 2.2-litre diesel. You have to have a diesel if you want to be able to pay the £2,000 premium that Mazda demands for AWD. Automatic transmission is an extra £1,500. 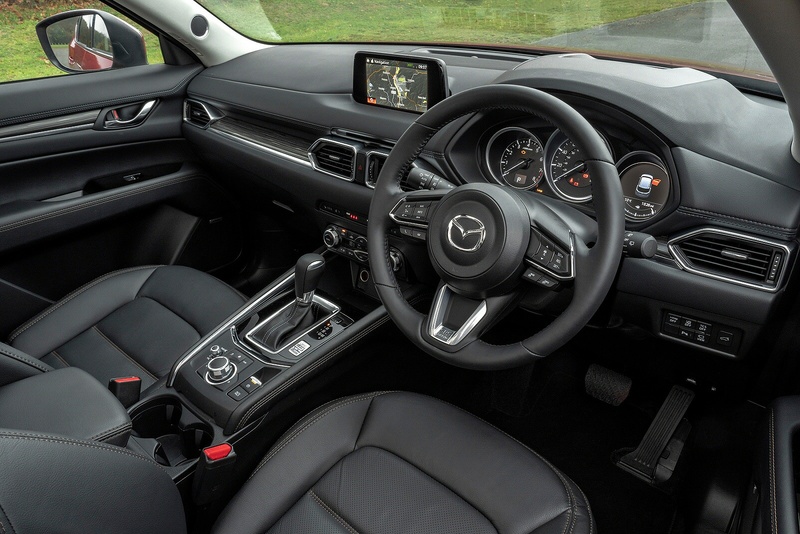 All models feature a generous standard equipment tally that includes LED headlights, auto power-folding door mirrors, dual-zone climate control, a DAB radio and a 7" colour touch-screen display with Mazda's integrated navigation and 'Apple CarPlay/'Android Auto' smartphone-mirroring. 'Sport Nav' cars add to this with a reversing camera, an 8-way power adjustable driver's seat and Smart keyless entry, plus heated front seats and steering wheel, a power lift tailgate and a new head-up display that projects directly onto the windscreen and features Traffic Sign Recognition. 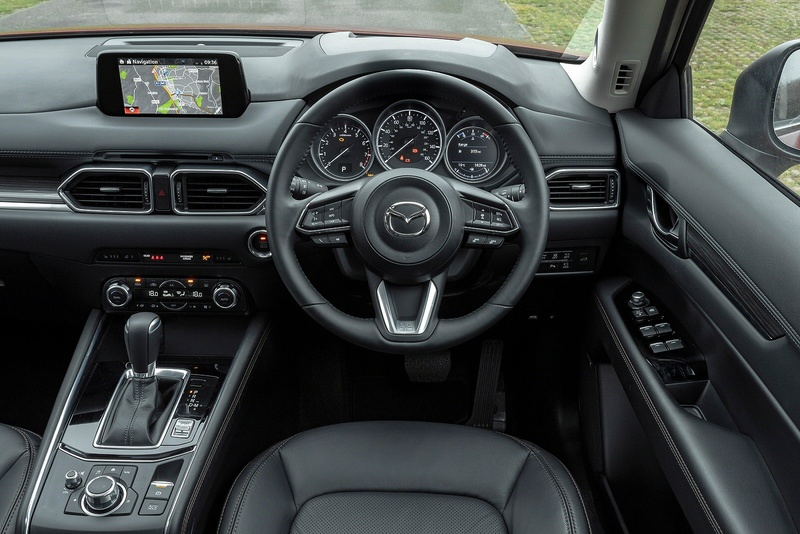 As part of the revised line-up, this model gets even more active safety equipment as standard, with Mazda Radar Cruise Control, Advanced Blind Spot Monitoring with Rear Cross Traffic alert, Smart Brake Support, High Beam Control and Lane Keep Assist with Lane Departure Warning standard across the range. In addition, the optional safety pack on Sport Nav+ models features a 360 view camera and Adaptive LED Headlamps. 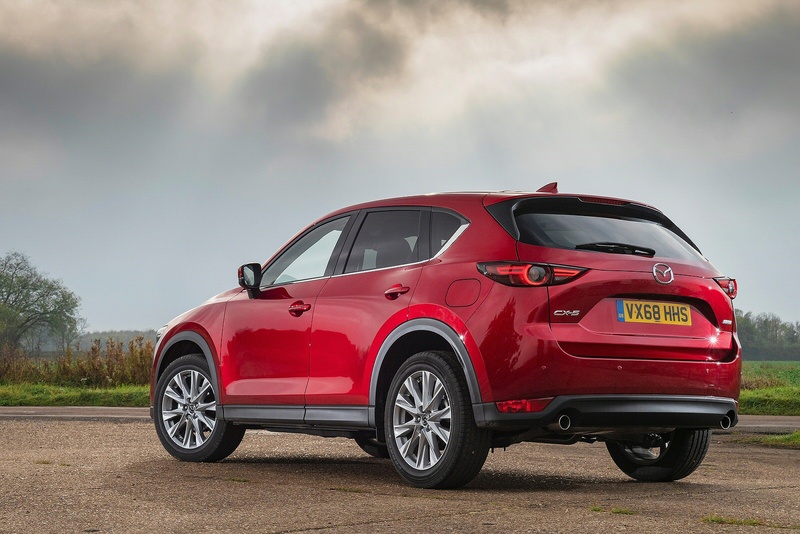 The CX-5's unexpectedly imperious progress continues when it comes to cost of ownership and this is where the SKYACTIV technology really pays off. The 2.2-litre 184PS diesel variant many will choose returns well over 50mpg on the combined cycle and a CO2 figure of around 140g/km. Clever use of low compression ratios for the SKYACTIV-G petrol and SKYACTIV-D diesel engines means that ignition takes longer, ensuring a better mixture of air and fuel. This approach also enables the engines to run with less mechanical stress, which allows the use of lighter weight materials, in turn meaning that the finished vehicle will need less energy to move through the air. And no energy at all of course when it comes to a temporary stop, say at the lights or in traffic. 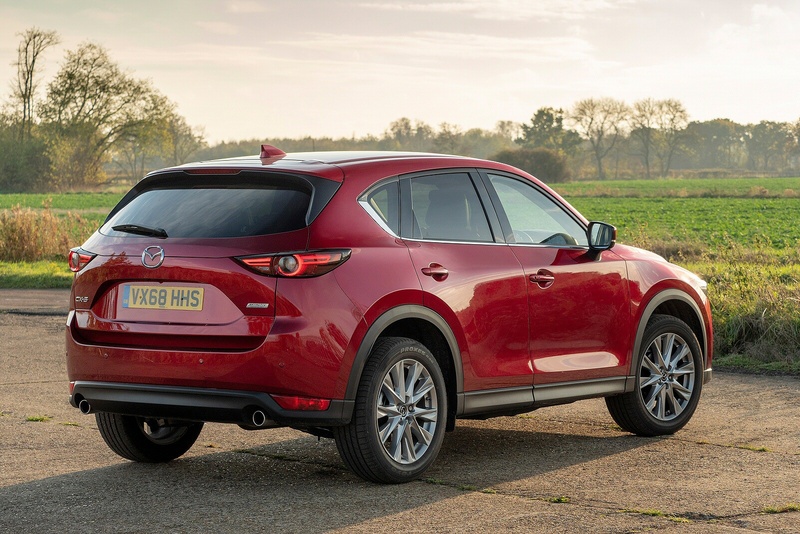 At that point in this Mazda's case, an 'i-stop' engine stop/start system (the fastest-reacting set-up of its kind on the market) will cut in, reducing fuel consumption by up to 10% all on its own. 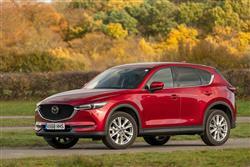 As for peace of mind, well given the reliability of Mazda products, you'd have thought the company might have wanted to improve upon its usual three year/60,000 mile package and take on the Korean brands. Not so. That familiar standard warranty remains in place for this car. 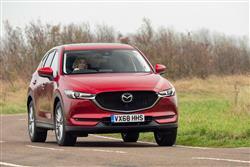 If you�re looking for a new Mazda CX-5 2.2d Sport Nav+ 5dr Auto Diesel Estate for sale, you�ve come to the right place. At Bristol Street Motors we don�t just have the best Mazda CX-5 2.2d Sport Nav+ 5dr Auto Diesel Estate deals, we also offer friendly advice and help with all your enquiries to ensure your buying experience is a happy experience.